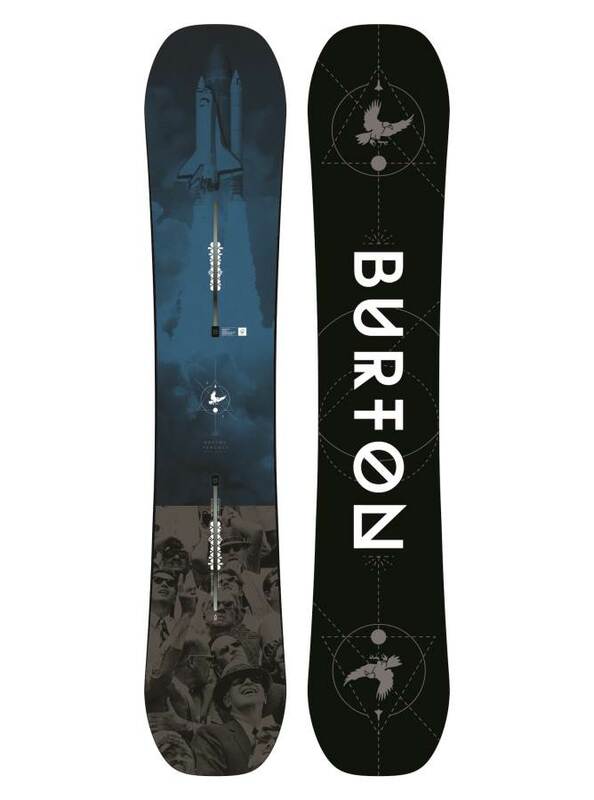 The Burton Process has the same shape and flex as the Process Flying V but the polar opposite in camber profile and feel underfoot. It’s got old school camber that throws you over the handlebars in powder and it is very easy to catch an edge. However, in return, you get a great pop out of a turn and ollie power. There isn’t much difference between the 16 to 18 models but they do have a more blunted nose compared to the older model. Conditions: Good Soft Mid Winter Sierra Snow a few days after a good snow. Sorry, I forgot to film that day….sometimes I forget, forget to charge batteries or just get caught up in the moment. Flex: Nice medium flex that feels easier and more playful on snow than it does when flexing it in hand. still, it’s not easy to butter compared to the Flying V and I couldn’t really bend this around like a champ. On Snow Feel: It’s stable flat basing and one footing but it is catchy like camber and felt that way. There is some consequence to it. Especially comparing it to the Jones Ultra Mountain Twin on the same day with the same bindings. I got to say the 155 felt better than the 157 for my size 9 boots. The 25.2 cm waist of the 157 feels almost more like a 25.5-25.7 cm waist instead but the 155 seems a little closer to its 25.1 cm waist but not as much as you would think. 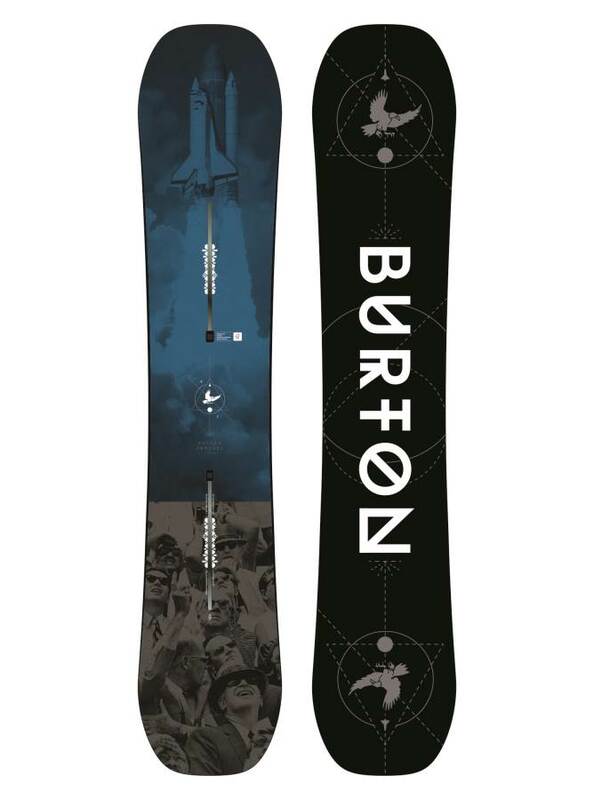 Still, I wish this had at least Burton’s PurePop Camber or even a new hybrid camber with more rocker so it would still have the pop and stable feel that camber does but not be super catchy like camber. It’s not as catchy as camber was in the early 2000s but it’s still pretty catchy compared to many boards out there these days. 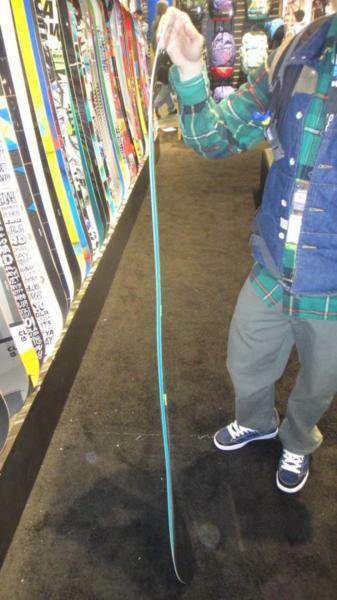 Edge Hold: Nothing great and we all wish Burton would do a little more even with the camber models. The Frost Bite tech is very subtle and doesn’t really grab in harder snow but with the camber it does hold better than the Process Flying V.
Turn Initiation: Still not super quick compared to boards like the Custom Twin or even the Burton Custom Camber but not super slow either. Just kind of mid-level but I did like the turn initiation better with the 155 than I did the 157. I wish I had the 155 turn initiation in the 157 and it would be more fun for my size 9 boots. Turning Experience: The overall turning experience is pretty good but it’s not magical like the Custom or Custom X. It feels less dynamic underfoot like it prefers to go straight towards a kicker to get air than really get into some well-linked turns. Still, it’s not going to bore you and the camber gives more than sufficient pop underfoot for turning in each direction. Skidded Turns: Nothing like the Process Flying V at all. It’s not for those that get off your game and skid out or for those that don’t know how to turn correctly all the time. Carving: It’s not the Custom X but it does carve well for a Twin. It’s a good board for those who like to cave regular and switch. 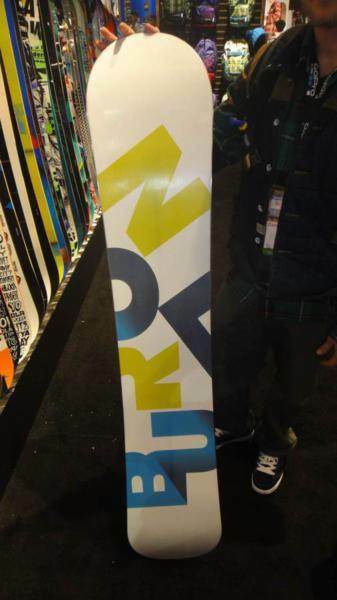 Speed: Carries it’s speed really well even though the base isn’t as fancy as some of the higher end Burton boards. Also, it holds it’s speed pretty well. Uneven Terrain: Liked the 155 better than the 157 Off Axis I tried. It’s not the best but not bad when it comes to messy resort snow. Powder: So the blunted tip and tail did pretty well in some short off-piste runs in a little over 1 foot of thick Sierra snow but it wasn’t effortless like the Jones Ultra Mountain Twin. 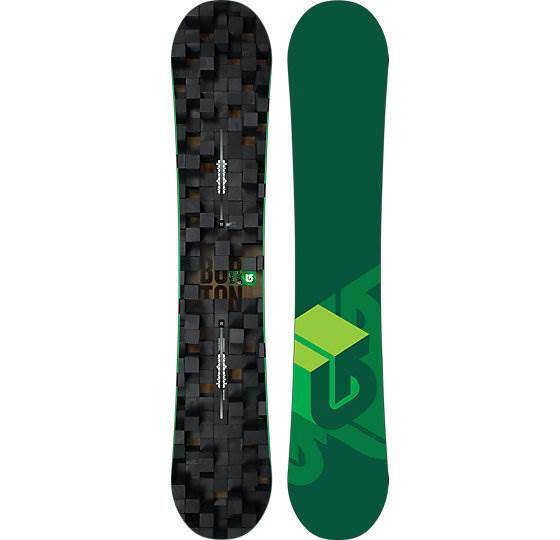 If this had rocker after the tip and tail combined with the set back of .5″ and the bigger blunted nose/tail of the newer models this would be a great powder board. Switch: The only thing directional about this directional twin is the .5″ set back so when centered it’s just like a Twin. That’s great for riding switch and a good thing for what we define an all mountain board as. Jibbing: Didn’t even bother. Just felt like a little too much board to take my beaten up the body into the jib park with. Pipe: Didn’t really get a lot of pipe time but went through a pipe around 12 ish feet and it was a pretty good time. I prefer the Custom Twin and Custom a little better but it’s good enough for some laps. Jumps: Nice pop off the tip/tail and that’s expected from camber. It’s also great for hitting kickers. 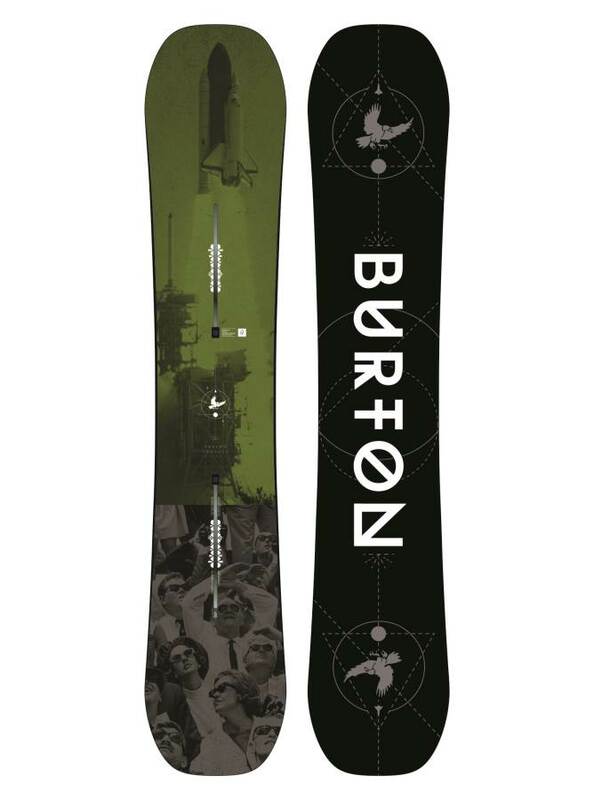 So all in all the Burton Process is a good camber board but in a land of really good all mountain to aggressive mountain hybrids, it’s just not as versatile as the rest. We’d love to see this with rocker starting shortly after the bindings or even PurePop Camber it would be a much better ride. So the traditional camber Process isn’t too much different from the Off Axis Process because the Off Axis Process is mostly camber any way. This just has a little extra camber but about the same pop. The flat section in the Off Axis adds to the pop. Carving is a little better and it’s got a little more spring out of the turn. Float in powder is going to be a little worse than the Off Axis as well. It’s just a little less forgiving and more technical for the people who want an old school ride. 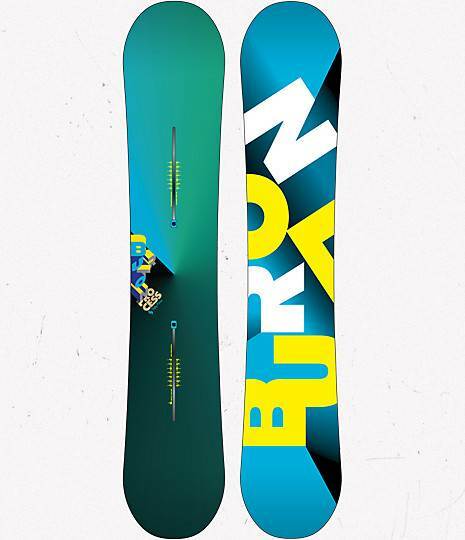 So the 2014 Burton Process has a few changes that make the ride a little more symmetrical. It’s no longer a Twinish board but instead has a twin shape and a directional flex which means it rides much better switch. All in all the ride felt a little better with the directional twin shape because it was easier to ride switch. It’s good that they left the 12.5 cm set back so you can get a little better float in powder. I think that if you mainly ride one direction then you might like the older process better but if you ride switch then you will like this model better. 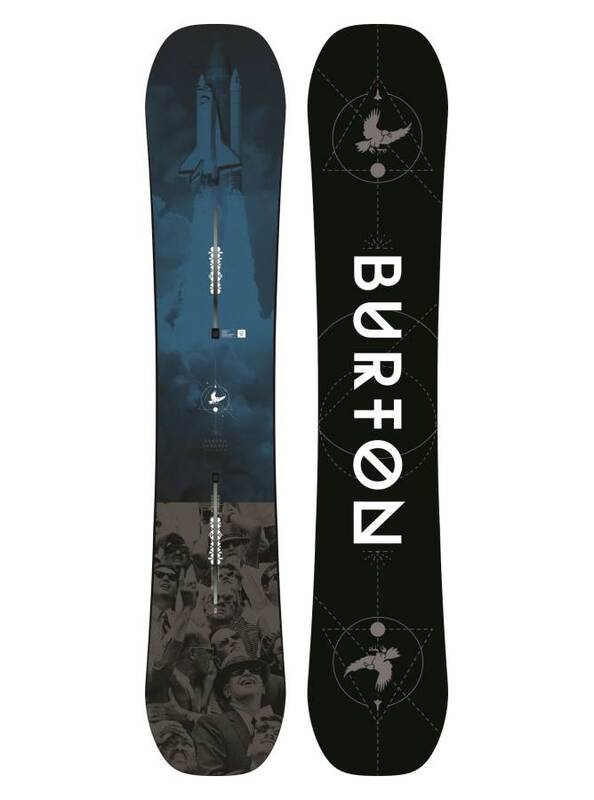 The Burton Process Camber starts out with a normal waist in the smaller sizes and then works it’s way up to a border line mid-wide with the 159 footed and a mid/wide with a 162 size. Conditions: Some firm sierra snow to soft sierra snow. On Snow Feel: The process felt so much like the Burton Custom Camber but in a different size. It’s also a bit softer. It’s a stable to semi-catchy ride that is fun for cruising groomers as well as a park run or two. With so many hybrid shapes out there it’s a better board for advanced to expert riders but it’s forgiving enough for an intermediate as well. You can still be aggressive with it but you can also cruise. Powder: The Process has the same thing going on as the Custom. It’s camber and camber tries not to float so it’s not easy to compare to the Process Flying V here. It’s got a set back and a pretty good float for camber but it’s camber in a land of hybrid boards. What would be really fun is to have the Process for most days and the Process Flying V for powder. If you like traditional camber in powder you will be happy though. Turn Initiation and Carving: Like the Burton Custom this is a great board for turns of any type. It’s got a spring very close to the Custom and this 157 makes great quick turns and snaps from edge to edge well. Medium to wide radius turns had a nice feel and spring out of the turn. Carving was very close to the Custom and I had a bast laying into a hard carve in the softer snow. Speed: The Process was pretty fast. It’s not as fast as the Custom but it’s pretty close. There is a pretty good base and a pretty damp ride for this price range. It can for sure handle mountain speed without much issue here. It’s closer to the good side of speed but not bad faster. Uneven Terrain: Burton’s flex tech is really good with uneven terrain like bumpy to emerging moguls you see at the end of a crowded Saturday. Edge Hold: Pretty middle ground edge hold. It’s got a very familiar traditional camber grip that held well in most conditions I would want to ride in but was missng a little extra something in the side cut to give you better hard condition riding. It’s going to hold an edge well enough but it just didn’t feel confidence inspiring in the few patches I rode today. Flex: Like I said in Uneven Terrain Burton’s flex tech called “Squeeze Box” you get a little more going in the tip/tail than you should for camber. It’s no super easy butter board like the Flying V version but it can butter rather well with a little more strength/effort. Switch: This has the same twinish shape as the Custom so it feels a little more different switch. I think it’s because the tip and tail are generating a lot of contact compared to the Flying V/Hybrid Rocker profile which has the same shape but feels a little different. Jibbing: Not a great jib board but its not terrible either. Pipe: It’s got a pretty good pipe feel that makes for a fun ride. It holds an edge pretty well and drives from wall to wall well. It’s also somewhat forgiving for a camber ride. Jumps: The Process has great pop with or without hinge tech and it’s a fun board to ollie off natural terrain. It’s got the kind of ride that is really fun. In the jump park it’s a little different taking off or landing switch but it’s not terrible so if you are ok with a twinish board this will be excellent but if you prefer a true twin you might like the Burton Custom Restricted (camber twin) or Parkitect better. 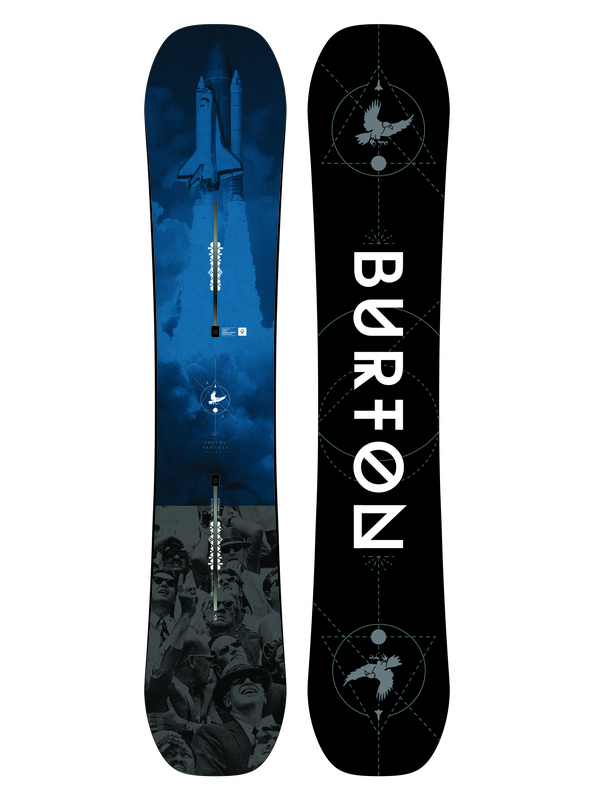 We try to get as many images of the Burton Process, but forgive us if they're not all there. 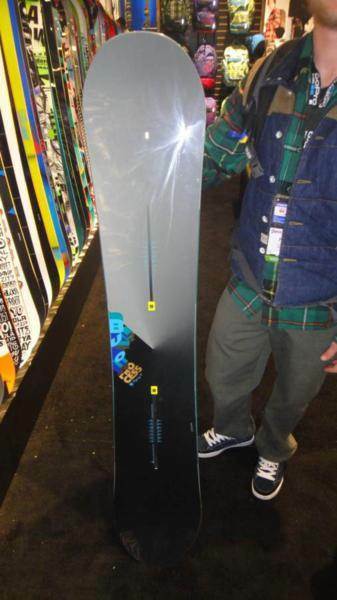 I was looking for a freestyle oriented all mountain camber board, in this regard the Process does not disappoint. I have the 2018 model in classic camber profile, 159 cm. The board feels super light and a tad soft but it’s strong where it counts and holds a carve well. The boards I’ve been ridden in the past years have been more aggressive all mountain boards, stepping “down” to this gave me my first concussion catching an edge with a sloppy toe to heel transition. This board has made me a bit careful to stay on the edges when going faster. The introduction of pure pop in the 2019 version is probably a good move as it should reduce the chance of catching an edge. I have adjusted my riding to the board so the softer flex isn’t an issue, I just consider it a part of this board’s personality. The board holds presses much easier than my previous/other boards and that have helped me tremendously to do proper butters. I also found the board to float better and giving less back leg burn in the soft than anticipated, which adds to its versatility. I think for a lighter rider this board would be a better board for charging but I was looking for more playfulness and this board delivered, with just a tad compromise on its all mountain abilities. One thing I would like to add is that the size chart recommend L bindings, I found out the M Cartels was the ideal fit for both boots and board with the 159 cm length after trying bindings in both sizes. Considering the attractive price point I can’t complain to much and that’s the reason I give it 5 out of 5. Coming off a 163 traditional camber board, I was looking for something a little more forgiving but still able to rip the mountain top-to-bottom. I spend my days surfing the mountain - setback bottom turn/cutback carve combos, flow, side hit lippers/throw tails and looking for the goods. The Process delivers on all fronts. Deep weighted carves very fun in good snow. Heelside gets a little sketch on firm to harder conditions. Just unweight a little earlier to transition turn and all is good. Pops out of turns, natural hits and jumps very smooth and controlled - allowing you to "correct" a landing without buckling at contact points. My switch riding is weak but I am working on it. I do feel the catchiness switch but continue to progress. Easy to center the stance and "play" when you want to. Board handles speed - not a bomber but I like carves opposed to straightlining. Turns of any size no worries, particulalry in medium to soft conditions. Bumps and slush piles very fun to ride over/around/launch off due in part to flex and pop of board. The Process Camber is a fun board capable of aggressive riding AND playful approach. Depending on your mood - the board delivers. Very recommendable for someone looking to ride all mountain and have fun doing it. This board is suppose to be a do it all type of board, however it slips around a lot considering the scoop tips which effectively turn up the contact points, which aren't as big of a deal as i consider this board more flat than camber. I personally think the flex is soft bordering on noodle, its extremely easy to bend. This board makes a great powder board though and kills boxes too. Just not for me.